Veterinary medicine faculty are passionate about their work, whether it be teaching, research, or patient care. For Dr. Shannon Boveland, the desire to serve in a clinical capacity and an opportunity to do so are the driving forces that brought her to Auburn’s College of Veterinary Medicine. Dr. Boveland joined the college this semester as an associate clinical professor of Ophthalmology in the Department of Clinical Sciences. Her post is a clinical appointment with the Ophthalmology Service in the Wilford & Kate Bailey Small Animal Teaching Hospital. 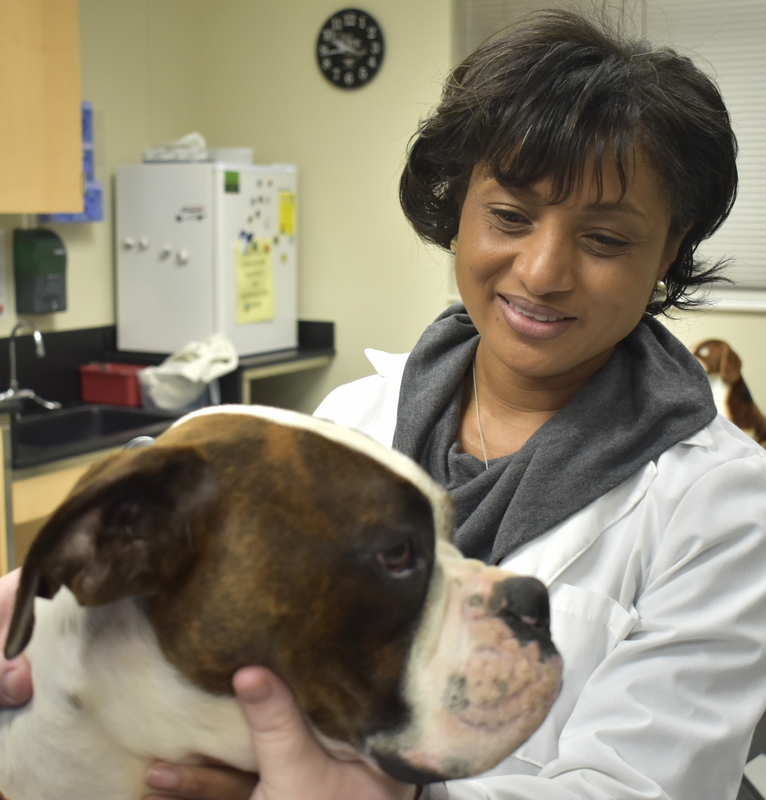 A Louisiana native, Dr. Boveland earned her Doctorate of Veterinary Medicine degree from Tuskegee University in 2000. She interned there as well in Small Animal Medicine and Surgery, and completed her residency in Ophthalmology at the University of Georgia’s College of Veterinary Medicine. Since 2009, Dr. Boveland has worked at Tuskegee University holding various positions with its college. Among those post are: director of Admissions & Recruitment; associate professor, assistant professor, clinical lecturer, faculty fellow and instructor in the Department of Small Animal Medicine and Surgery. Dr. Boveland said she has had professional interaction with the CVM over many years, and has enjoyed that relationship. Her CVM teaching assignment will involve classes in Ophthalmology diseases. She also will be involved in research programs focused on clinical studies in Ophthalmology as well as corneal diseases. She holds a veterinary faculty license in the state of Alabama and is certified by the American College of Veterinary Ophthalmologists. The college’s Ophthalmology Service provides comprehensive ophthalmic care to canine, feline, equine and exotic species. The service offers a full range of diagnostics, microsurgical techniques and therapeutic options for the treatment of ophthalmic disease. It treats a variety of eye disorders, including, diseases of the ocular surface (corneal ulcers, dry eye), cataracts removal, inflammation of the eye, glaucoma, tumors, retinal diseases and eyelids abnormalities.